Short answer — there is none. Seriously, for a typical end-user, there’s no difference between VPS and VDS — a lot of companies will even advertise their high-end VPS as VDS, because there’s no way to prove otherwise. But once you start getting into the technicalities, there are, in fact, differences between the two. Imagine there’s a physical server. And it’s too powerful to be used as a server for something like a usual e-commerce project or a MMO-guild portal. But both the e-commerce project and the MMO-portal have outgrown their shared hosting and need an upgrade. That’s where virtualization comes into play. Virtualization is a technique of allocating some resources of the computer to two or more concurrently active operative systems. For example, in this case it can be used to create two virtual machines (VMs) and dedicate each of them a half of the real server’s resources. This way the e-commerce website and MMO-guild portal can split the cost of running a server and get a guaranteed amount of resources for their projects. OS-level virtualization. These virtual machines are technically just Operating Systems that run in the container. They share the mother OS’s core, and share CPU, RAM, HDD and Network between them.While this method of virtualization is rather limited, it still suitable for most of the tasks and doesn’t require any modification of the OS. Alas, only operating systems that are built on the same core, as the mother system, can be virtualized using this method.In hosting terminology, the virtual machines created with OS-level virtualization are called Virtual Private Servers. Paravirtualization. This one requires a hypervisor — a special hardware on the CPU that runs above the OS level and manages the resource allocation between mother OS and VMs, allowing for much greater level of true dedication. Also, it allows the mother OS and VMs have different cores — which in turn makes the selection of VMs you can run much bigger. Problem is, by itself, hypervisor drastically reduces performance of any OS that wasn’t specifically written for it. But some operating systems can be modified to run using hypervisor natively, which allows for a massive performance boost compared to complete virtualization. Downside is, not all OSs can be modified — it calls for an open source code, which, for example, Windows does not provide. That makes Linux-based OSs the primary option for paravirtualization. In hosting terminology, paravirtualized VMs are called Virtual Dedicated Servers. There is also third way — complete virtualization — but it is rarely used due to it greatly reducing the performance. 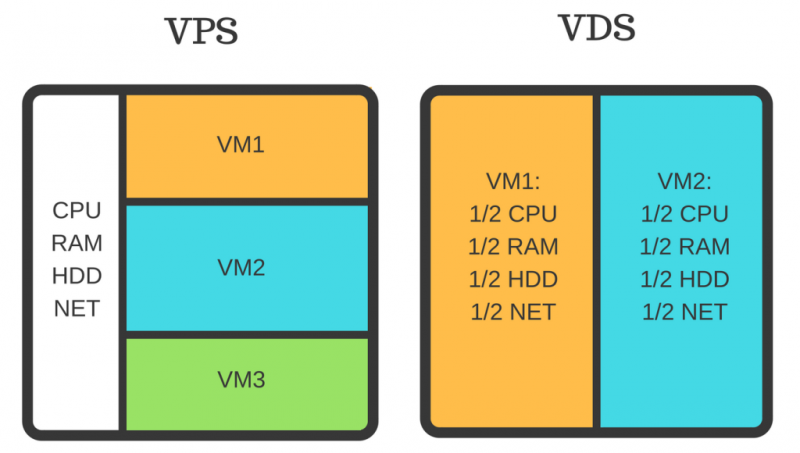 VPS and VDS are pretty much the same thing. Of course, some tasks do call for a VDS, but 99% of the end-users will never have to face them or worry about the difference between the two types of virtual machines. Got any questions left? Hit us up in the Unihost Support Chat or in the comments! 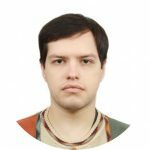 Так и не понял по статье, отличается ли сейчас VPS или VDS. Сначала пишите, что ничем ничем, потом что все-таки есть разница, затем – снова нет отличий. По сути, в 2000х можно было сказать, что OpenVZ виртуалки – это VPS, а KVM виртуалки – VDS. Но вывод наверно следующий, что большинство уже давно не обращает внимания на те отличия, которые были в начале и сейчас все чаще использоуют аббревиатуру VPS.